It is very difficult to determine how many species of parrot once inhabited the Mascarenes. Almost every early account mentions them. 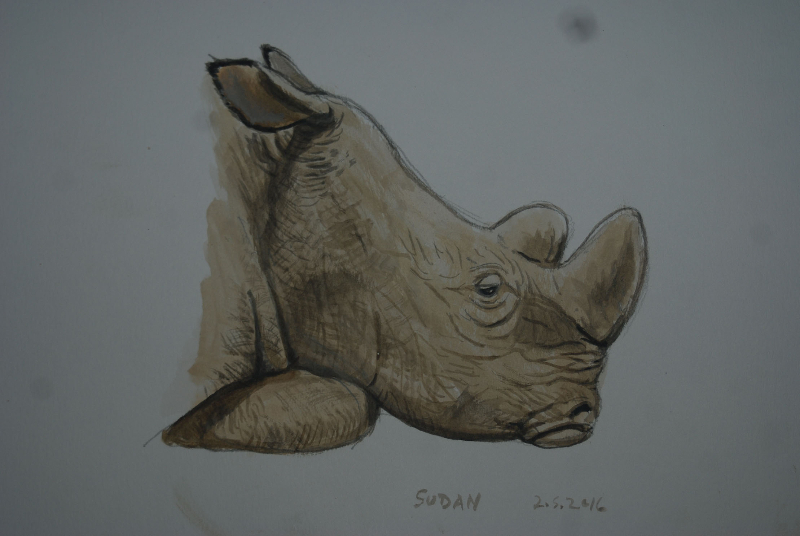 They were depicted by a number of artists and travelers and they have been described from skins and fossil remains. 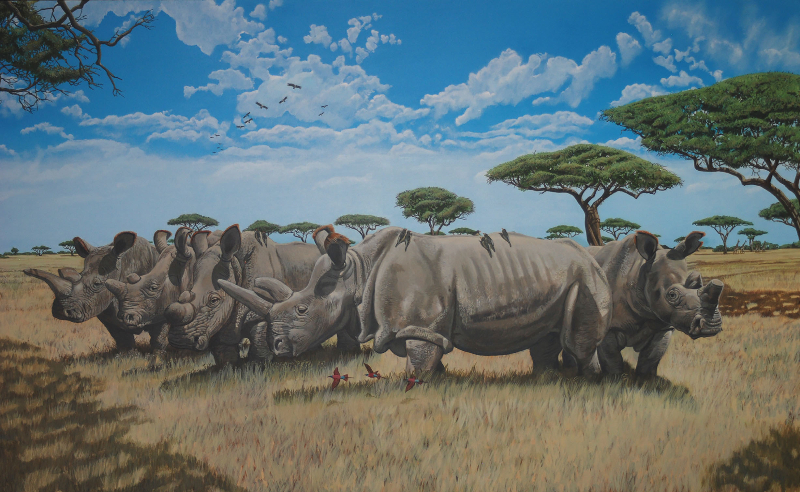 However, the descriptions and fossil material are generally poor and only two extinct species are known from skins. 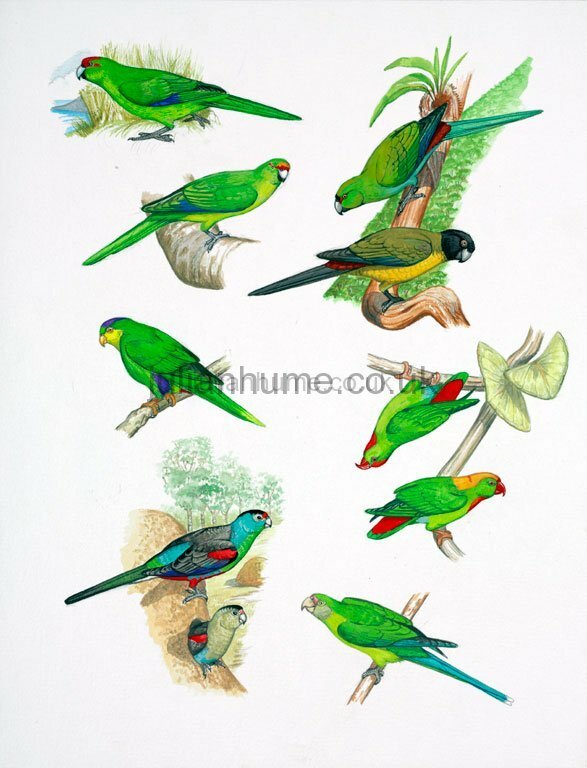 All Mascarene parrots are now extinct bar the echo parakeet Psittacula echo of Mauritius. At least 3 species inhabited Mauritius. The broad-billed parrot Lophopsittacus mauritianus survived until at least 1673-4 and had developed huge jaws for cracking palm and other forest tree nuts. Despite suggestions to the contrary, there is no evidence to suggest that this species was flightless; however, the broad-billed parrot exhibited the greatest sexual dimorphism known in any parrot. A second grey, long-tailed species, Thirioux’s Grey Parrot Psittacula bensoni, a derivative of the Psittacula ‘eupatria’ group disappeared by c.1760 and is only known from the fossil record. The third species, Psittacula echo, once described as the world’s rarest parrot, has now recovered to some 150 individuals and is the only surviving parrot in the Mascarenes. 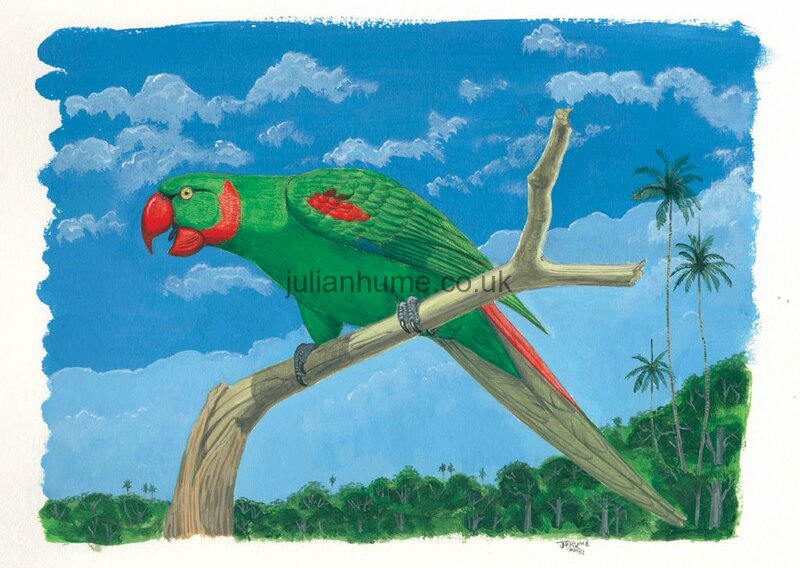 At least 4 parrot species once inhabited Réunion, but only one is certainly known from skin and fossil material. Two preserved skin specimens of Mascarene parrot Mascarinus mascarinus survive, both collected during the 18th century, and a few fossil elements have been collected. 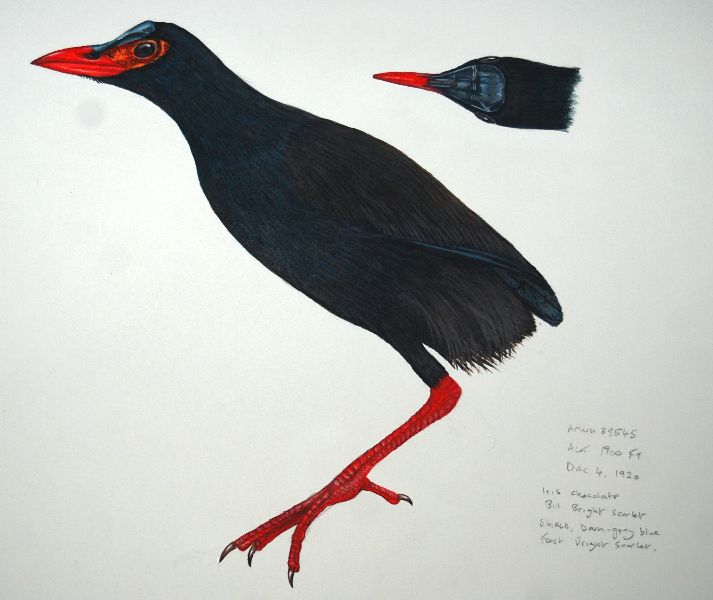 Dubois in 1674 gave a good description of this species and a few live birds made it to France. A grey parrot was also mentioned and presumably, a conspecific species once populated both islands. A third enigmatic species has caused much taxonomic confusion. 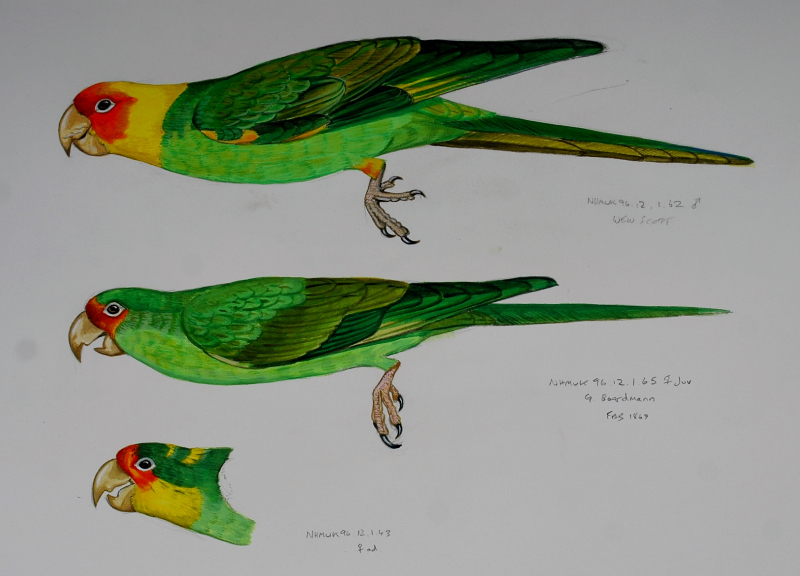 Dubois in 1674 described a green parrot with head, wings and tail the colour of fire. A Psittacula ‘eupatria’ derivative Psittacula wardi once occured on the Seychelles, and P.‘eupatria’ may have also occurred on Mauritius and Rodrigues. It is therefore possible that Dubois was describing an endemic Psittacula ‘eupatria’ species on Réunion. The colouration, apart from the red tail, is typical of P. eupatria. The fourth species Psittacula eques is clearly related to or conspecific with Psittacula echo of Mauritius. It is known only from a number of paintings and perhaps a unique skin; this awaits DNA confirmation. 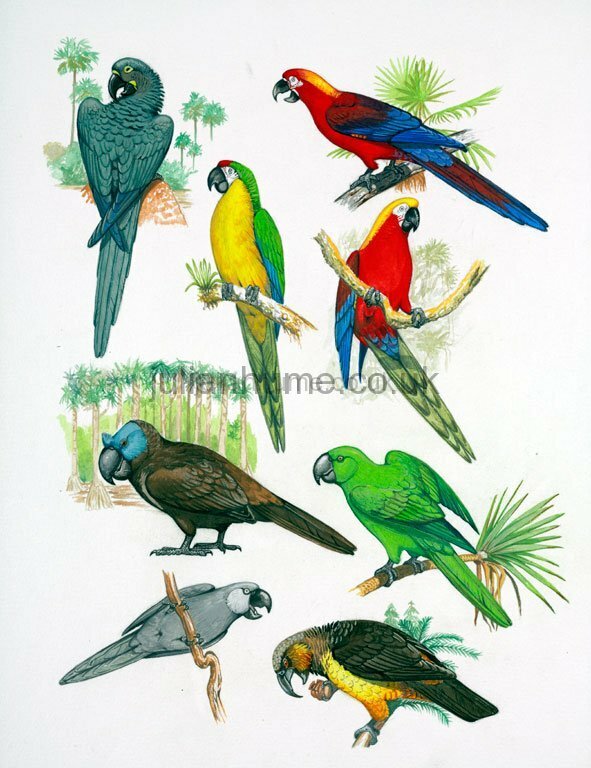 All Réunion psittaciforms had disappeared by the end of the 19th century. Two species of parrot inhabited Rodrigues. The largest species, the all green Necropsittacus rodericanus was first mentioned by Tafforet in 1726. 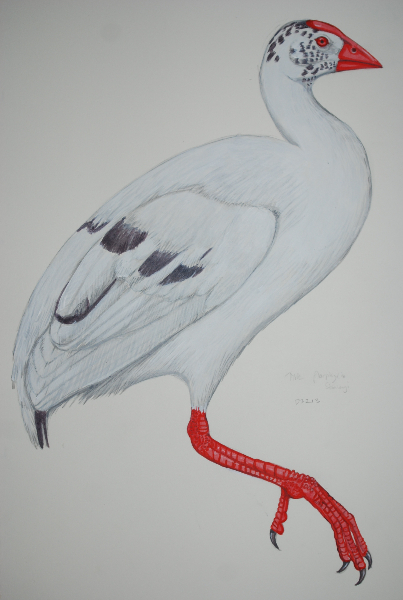 Pingré listed N. rodericanus as very rare in 1761 and this was the last time it was mentioned. 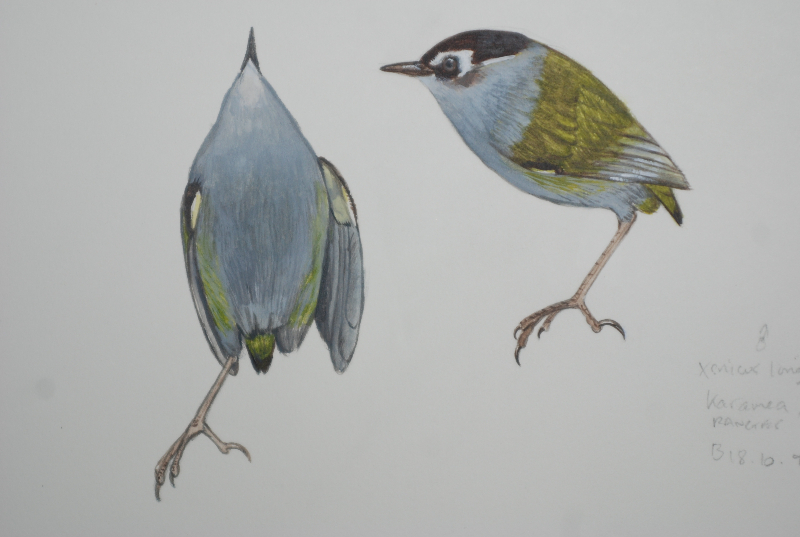 The second species Psittacula exsul, with two colour morphs of green and blue, survived until 1875. 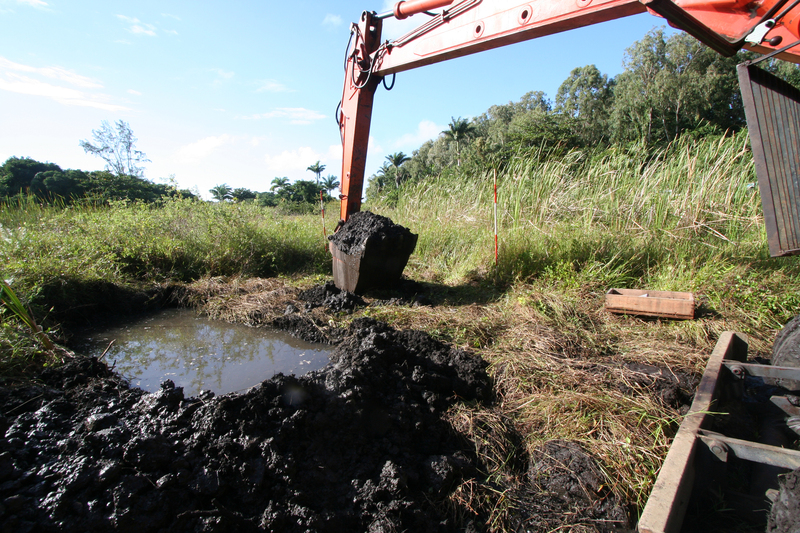 The first specimen was obtained in 1872 and a second was obtained in 1875. The bird was never seen again.